Instagram Stories are ridiculously fun and there are great benefits to using them strategically. Instagram Stories are great to show your brand’s personality, you can highlight the message in a unique way. More personal! With a little bit of creativity, you can create Instagram Stories that help you get more followers and keep them coming back for more! Instagram Stories give you more opportunities to your followers. The will have a positive feel for your business. Because you took the time to really give a personal view of life, a behind the scene. It’s a great tool to get more people to read your blog, relate and really believe in what you have to say. So tell your story and build your brand! Note: This is a premade bundle – all items are JPG files, ready to go and easy to use. 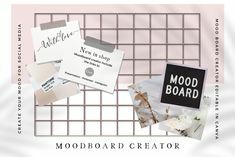 I put together this goodie so you can create a beautiful, cohesive look for your social media or blog style. Creative Stash has released a new bundle with 45 templates for Instagram stories.